On May 18, Paradox and NOOR launched 48 Stories – Mapping the Palestinian Diaspora at Pakhuis de Zwijger. At the occasion, photographers who contributed stories to the web app as well as curators and researchers reflected on the Nakba and its representation today. Now, the first three episodes of 48 Stories are available on 48stories.org. A new story will be added every week until mid August. After an extremely eventful week – with the State of Israel celebrating its 70-year anniversary, the Palestinian commemoration of the Nakba, and the violent suppression of protestors in Gaza – almost 200 people attended the launch and live stream of 48 Stories in Amsterdam. 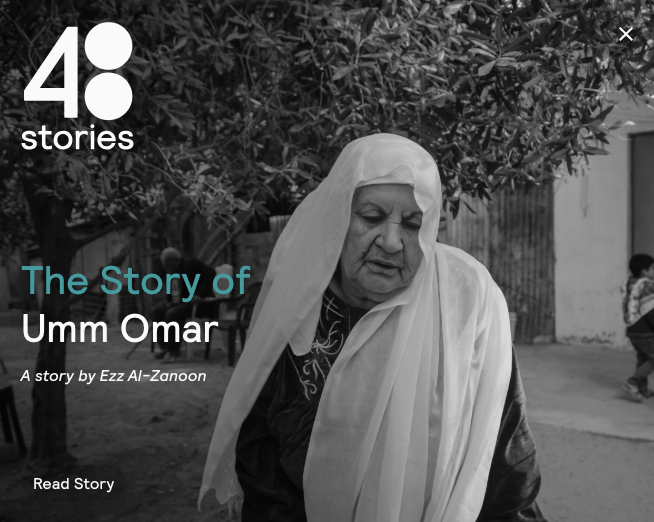 48 Stories documents the personal stories of Palestinians who were displaced after the Nakba (Arabic for catastrophe) of 1948. In the past two years, seven photographers travelled to Palestinian communities around the world to capture their memories, experiences and everyday lives. In moving presentations, Tanya Habjouqa, Ezz al Zanoon and Kadir van Lohuizen showed the stories they had collected and talked about their personal involvement in the project. In addition, scholars dr. Ihab Saloul (University of Amsterdam) and curator Debby Farber (Zochrot, Tel Aviv) reflected on the representation of the Nakba and talked about their research projects, which counter the erasure of Palestinian culture and history from contemporary Israeli (and world) thought. The audience joined the discussion with questions and comments regarding linguistics, visual representation and agency. The evening was moderated by curator, mentor and editor Bertan Selim. A big thank you to all our speakers, our partners NOOR, Kummer & Herrman and Slices, our sponsors and of course Pakhuis de Zwijger for hosting us. Thanks to student newspaper The Amsterdammer for publishing a report about the evening on their website as well as Trouw for running a two pager on May 15, Nakba day. The video recording of the launch will shortly be available on dezwijger.nl. Access the first three episodes of 48 Stories on 48stories.org (free of charge) – with many more to follow in upcoming weeks. From 5 – 10 June an audiovisual installation of 48 Stories will be on show at Cinema Galeries in Brussel, as part of the Palestine with Love film festival. Check out their programme here.